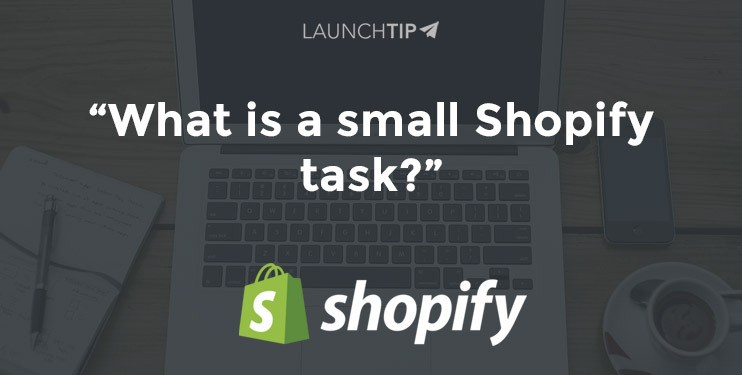 The LaunchTip service offers task based support for Shopify stores. For example, if you are a Shopify store owner and need a small HTML/CSS change in your store, the LaunchTip service can carry out this work for you. The above is just a snapshot of what we can do. We base a small task on a single job which one of our Experts can complete within 1 hour. We confirm all tasks before we carry out work. If the submitted task is too large to be a small task, we will contact you with next steps. We don’t like to say “no” when someone is in need of support. If you want advice on a task before you place an order, simply get in touch.